Ogopogo Gold is a quirky strain that is as unique as its name. Picked wicked fresh from Spokane’s first recreational shop, Spokane Green Leaf, we were pleased to find growers’ packaging methods ever evolving. 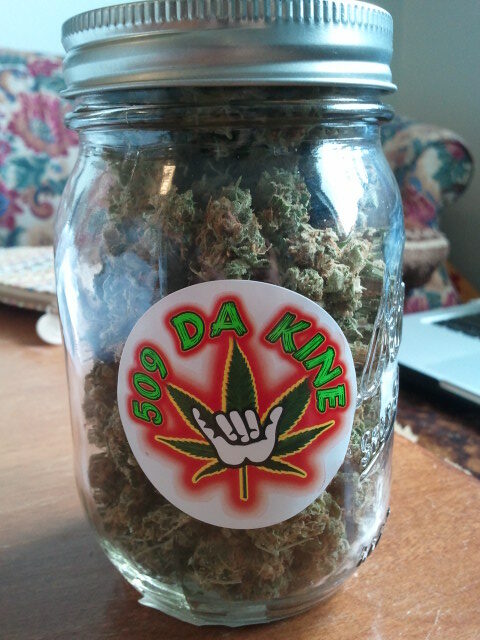 We’ve found some great glass jars for weed before, but Ogopogo’s ounce comes in a curated mason jar! 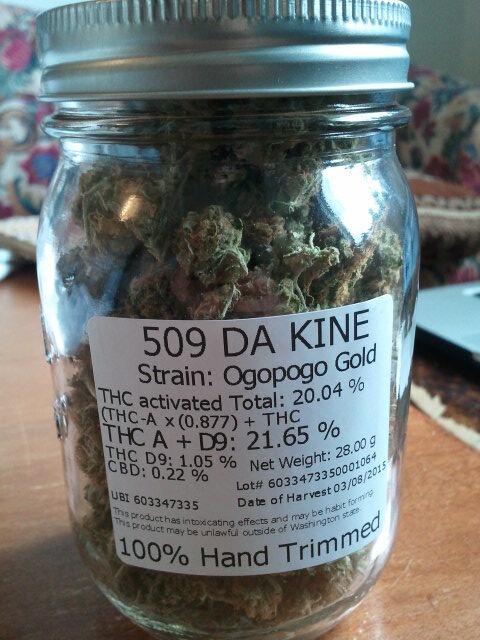 Ogopogo Gold is grown by 509 Da Kine and is a great Sativa with strong head rushes and a taste to die for. Nugs: Small crystally nugs, on the dryer side, crackles when lit. Odor: Powerful tropical aroma, deep skunky hints. High: A breathtaking and mesmerizing high, a weed for pondering and growing your intelligence. Ogopogo Gold has a spicy, sweet flavor that bursts into your mouth on the first inhale. The taste is so enchanting, the user is pleasantly surprised to find a smooth and mellow high that feels like a vacation into another realm. 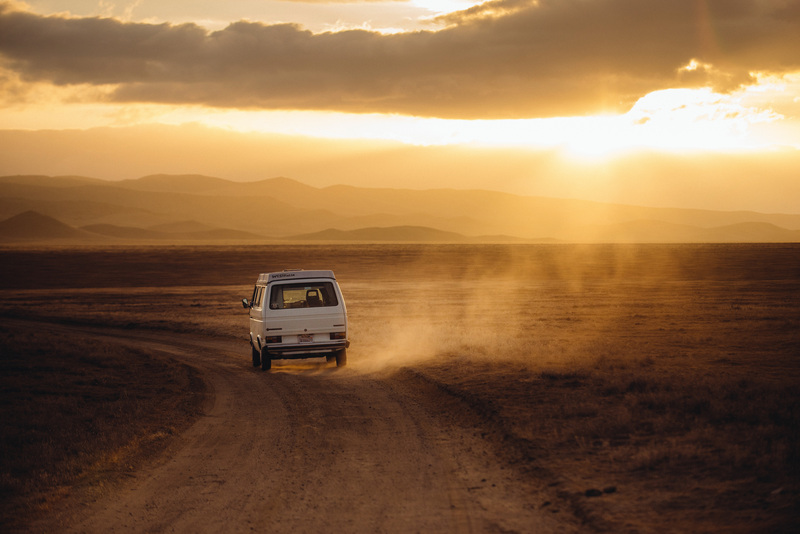 Drifting away with the calm feeling, a strong high that last for hours drives the smoker to pursue social interactions, deep conversations or creative endeavors. It’s a bright, thinking weed strain you’re sure to love. A relaxing, social choice, the high elevates you and thrusts you into a world of thought. The name represents more than meets the eye; Ogopogo is the name of a mythic lake monster in British Colombia, their version of the elusive Nessie. This weed strain sends you on a journey to find hidden meanings and the truth; it’s a conspiracy theorist’s dream. Smoke Ogopogo Gold when seeking a relaxed, body high with an elevated cerebral effect. The strong flavor and intense lift will keep you up for hours. Pack a bowl and light it up; join us on the search for the elusive Ogopogo! Previous Entry Are Washington’s Weed Testing Procedures Comprehensive?